For most, staying on top of our personal health is important. For others, poor health or medical conditions can make life incredibly tough. Nonetheless, a rise in the popularity of health tech is offering a beacon of hope to the health conscious and disabled alike. Not immune to the incredible developments in health tech we’ve witnessed over the past 10 years, the South West is home to some of the most innovative startups, apps and research projects in the country that are helping to improve the health, lives and prospects of those around the world. 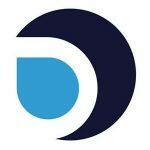 Squeezy is an app built to support those suffering from (or wanting to avoid) incontinence problems – experienced by over 60% of women at some point in their lives. Developed in partnership with the NHS, by one of the tech business incubator University of Bath Innovation Centre‘s resident companies Propagator, the app works by reminding patients to carry out exercises to help reduce incontinence. Helping not just those struggling with incontinence but NHS physiotherapists wanting to monitor their patients’ progress, the app has frequently been ranked in the top 10 best-selling medical apps in the UK Apple app store and the Google Play App Store. Let’s face it, as we get older, we become less… well… nimble. Our balance suffers, we begin to slow and our likelihood of having a fall increases. But intelligent algorithms and innovation all bundled up in a handy app are here to help. The Nymbl Science app allows you to measure your balance using sensors in your smartphone and then produces a tailored training programme to help. With balance being a key indicator of health, the app can be used by all (not just the elderly) to stay on stop of your sturdiness. Endorsed by UK athletes including professional triathlete Mark Threlfall and ultra marathon runner Alex Tucker, the startup is already making a big impact across the UK. 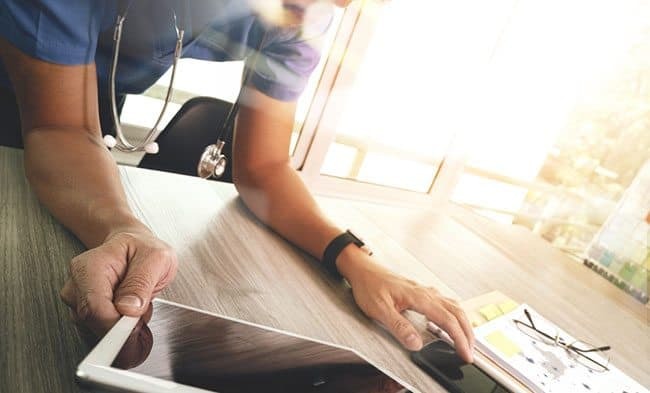 The startup’s founder Sarah Bolt previously told us in an interview: “I started to hear the word ‘digital health’ about 5 years ago and instantly became hooked – it is such an exciting area which has the ability to transform healthcare as we know it today. With breast cancer the most common cause of death in women between the ages of 35 and 55 in Europe, Bristol-based Micrima has developed an advanced breast scanner (pictured below) that’s set to revolutionise the detection of breast cancer by making the whole process more accurate, as well as safer. Not only that but, in comparison to the traditional x-ray mammography, this new scanner offers a huge increase in comfort by avoiding breast compression, offering peace of mind to women who may otherwise avoid checkups to avoid the breast pain involved in traditional scans. 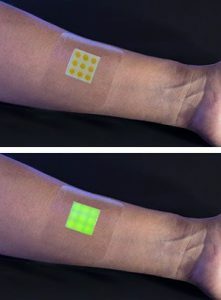 In another partnership with the NHS, smart bandages are being developed by researchers at Bath University that illuminate upon the detection of infection (as pictured, left). With trials already underway in 4 hospitals, including Southmead Hospital in Bristol, it’s hoped that the bandages will hugely reduce the risk of severe infection for patients – particularly for those with burn wounds. The bandages will also allow hospitals to cut down on antibiotic use – saving the NHS money and slowing antibiotic resistance caused by its unnecessary use. For those suffering with type 1 diabetes, tracking and calculating carbohydrates in order to accurately measure the required dose of insulin required can be tough going. For Health Apps’ Founder Deborah Wilder, this led to feeding her diabetic son with more and more processed food where nutrition information was easily accessible on the side of the packet. Keen to remedy this, Deborah built her very own tech solution – an app that offers pre-calculated recipes to help sufferers accurately count carbohydrates in healthy home cooked food – allowing a dramatic improvement in diabetes control and reducing the risk of developing secondary diseases such as heart disease, kidney failure, and loss of sight or limbs. A fascinating project using data for the power of good, GHAIA is revolutionising the way patients communicate with doctors and loved ones. The augmented intelligence healthcare chatbot will allow patients who need on-going support to remain independent in their homes and dramatically reduces NHS bed-stay costs by using data gleaned from healthcare professionals and the wider community to deliver advice and monitor the health of its users. The team behind GHAIA has already tested the bot in supporting a patient with wounds as part of a diabetes case, for dementia and also for multiple sclerosis – but the possibilities don’t end there. Potential applications include creating a memory bank of voice recording and photos for Alzheimer’s sufferers, creating diet plans for diabetics, alerting the emergency services or even simply turning on the radio for a patient. 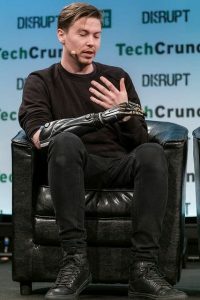 Multi-award winning company Open Bionics has become one of Bristol’s tech for good heroes for the development of its open source 3D-printed bionic arms (pictured right) that are improving lives worldwide. With robotic prosthetics not currently available on the NHS due to the extremely high cost, Open Bionics prostheses cost as little as $1000 (£600) and can easily be adapted for children by printing new components as the child grows. No surprise then, that Open Bionics were recently selected for Disney’s Accelerator Programme and have gone on to create prosthetics for children inspired by Iron Man, Star Wars and Disney’s Frozen. A collaboration between the University of the West of England (UWE Bristol) and Bristol University means that, come 2018, we could be seeing wearables take on a whole new meaning – integrated into our very own clothing with the aim of improving the lives of those with disabilities. This £2m project will see the development of smart robotic trousers that use artificial ‘muscles’ in its soft fabric to help people move around easily and unaided – enabling people with mobility impairments, disabilities and age-related weaknesses to live independently and with dignity. 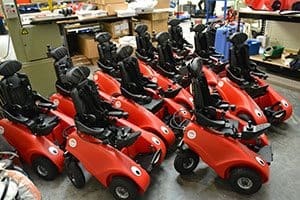 Bath-based Designability has designed a charming new mobility chair called The Wizzybug (pictured right). Built on-site using only locally sourced components, the chair is designed with children under the age of 5 in mind; although those as young as 14 months can operate the easy control system. Wizzybug empowers the children, so rather than depending on their parents to guide their wheelchairs, they can navigate themselves. Inspired by her own grandfather who suffered from Parkinson’s, Neha Choudrey – a student and entrepreneur at UWE Bristol – has developed a ‘smart’ mobility aid to help sufferers to get moving again when stiffness or joint seizure occurs while walking, a common and debilitating symptom of Parkinson’s. The walking stick works by detecting when a user’s limbs have frozen and they cannot continue walking. Recognising a pause in motion, the stick vibrates to help the patient regain their rhythm and get moving again. Involved in the tech community since her first meetup back in 2013, Alice came on board as TechSPARK's Assistant Editor in 2014 and was promoted to Editor in 2018. She loves a good tech conference and has covered both local and international events over the years. She is also a sucker for anything that uses tech to do good in the world. In her spare time she can usually be found exploring the great outdoors or taking part in some sort of ridiculous sporting challenge.